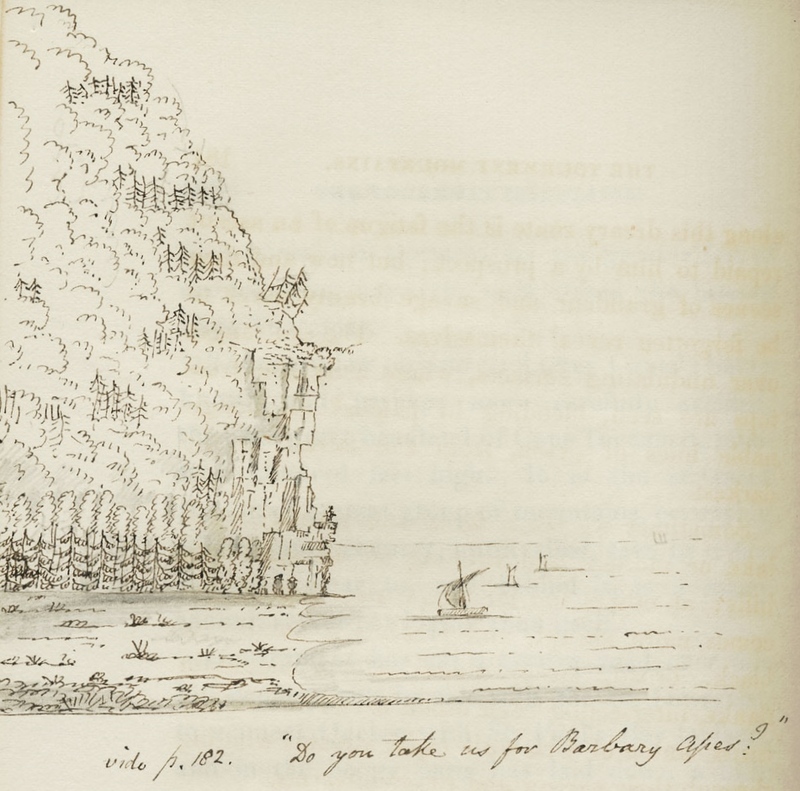 Cap Tourmente, ink drawing by John Jeremiah Bigsby (1819), inserted into his The Shoe and Canoe (1850). © Library and Archives Canada, John Jeremiah Bigsby collection, e002852501. Bigsby’s abundantly illustrated work is a cross between travel narrative and modern tourist guide. Like this author, other travellers have made the colony’s attractions known by publishing their stories in London.